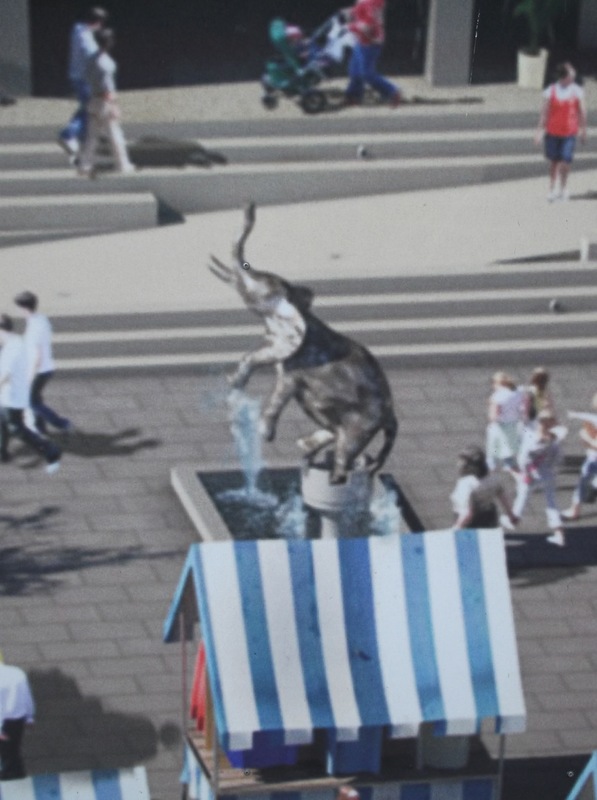 OAKMAYNE PLAZA / TRIBECA SQ / ELEPHANT ONE | Southwark Notes - whose regeneration? 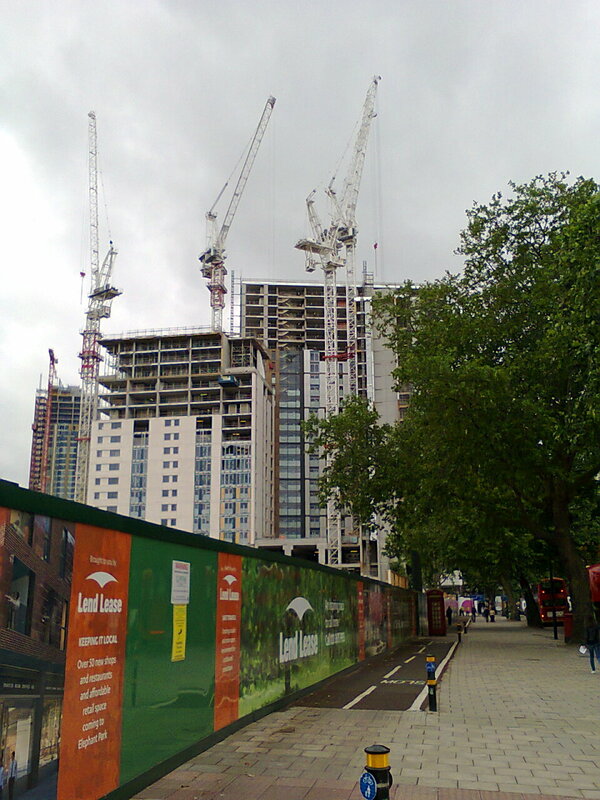 Above we can see the results of the Compulsory Purchase Order that closed the H. R Owen’s car delaership and the other businesses in the Castle Industrial Estate to make way for the Oakmayne Plaza (at New Kent Rd by The Coronet), a mega-development 250-room student accommodation, five-screen cinema, 312 private residences, restaurants and shops and market square. This project has been up the creek recently. 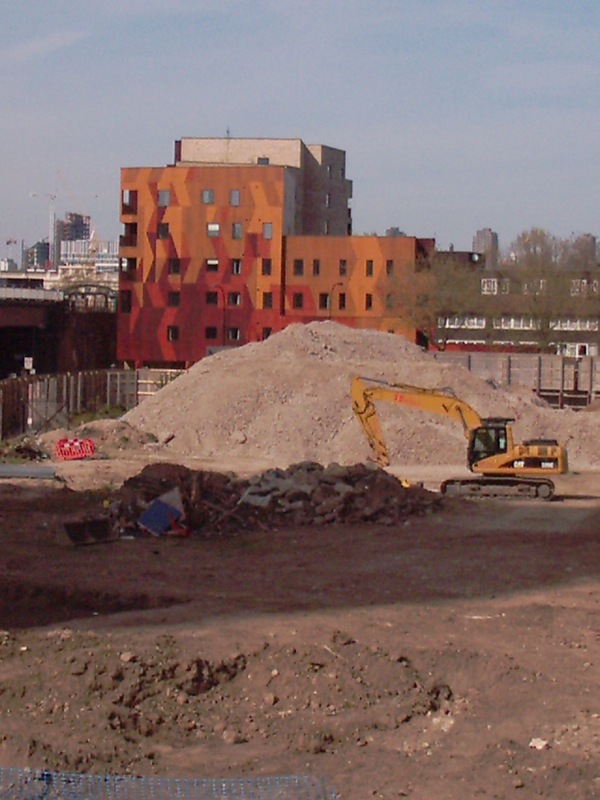 Despite a completion date of early 2011, nothing has been happening on this empty site, apart from some public art (natch!). 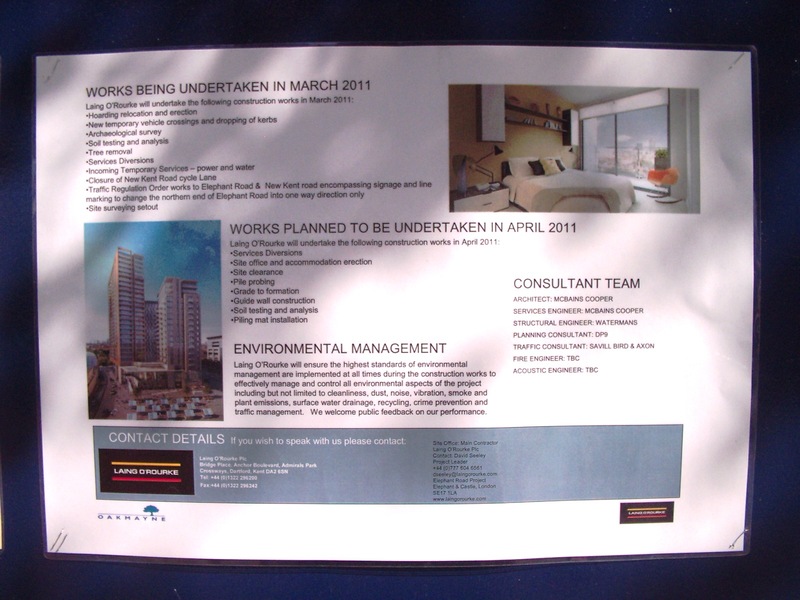 The Council’s Quarter magazine from Autumn 2007 reports that ‘construction work has started on Oakmayne Plaza‘. Wishful thinking surely! 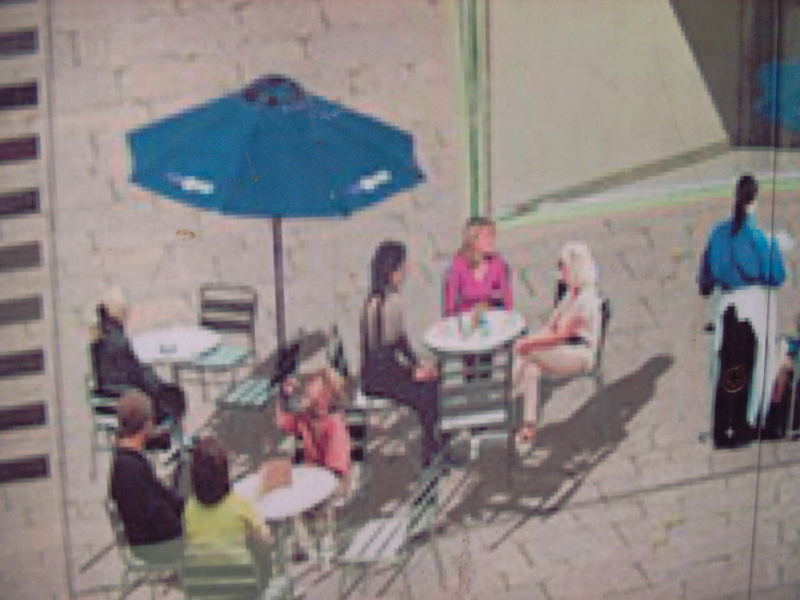 Just so you can imagine what is to come, we include a computer generated image of the cafe society that the Oakmayne Plaza wishes upon us all. 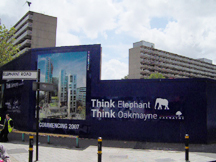 APRIL 2010: All the ‘Coming Soons‘, the ‘Think Elephant, Think Oakmayne‘ and the architectural CGI’s have been removed. What’s going on? 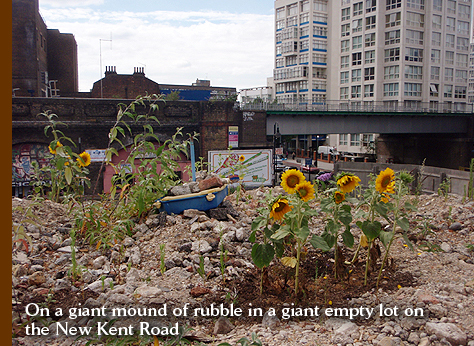 “The Elephant Amenity Network turned out in force to try and save Elephant Park last Saturday 26 February 2011. 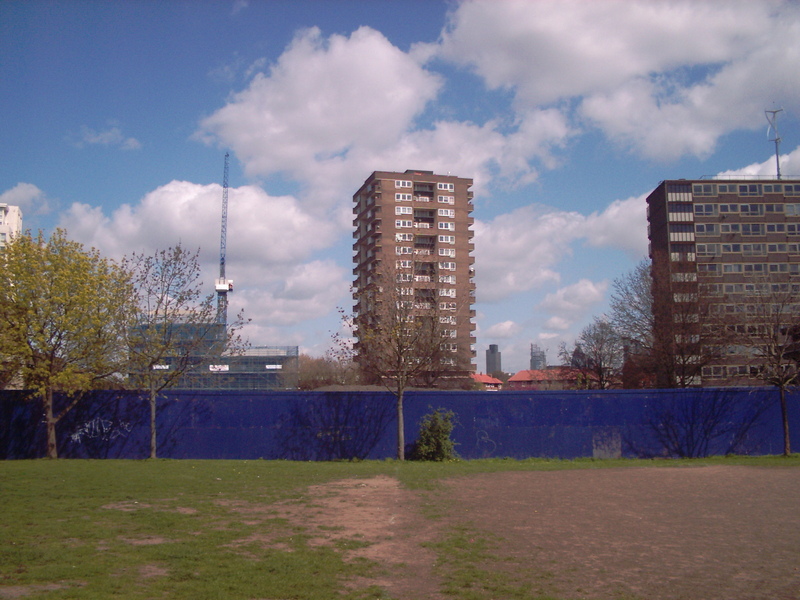 We joined with the football players of the local Latin American football league and met with the ‘Southwark News’ (see here) in an effort to stop the boarding-up of the park. 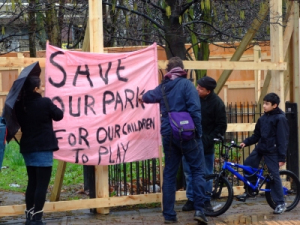 The park is the site of what will eventually be the new market square; in the meantime it is to be let by Southwark Council to the developers of Oakmayne Plaza as a site compound…The Latin American football league use the park each Saturday and had no idea it was being completely boarded off. The games aren’t just informal kick-abouts; it’s a well-organised league of 10 teams and each team has sponsorship. One of the teams is sponsored by the owner of Distriandina, a cafe in one of the railway arches”. 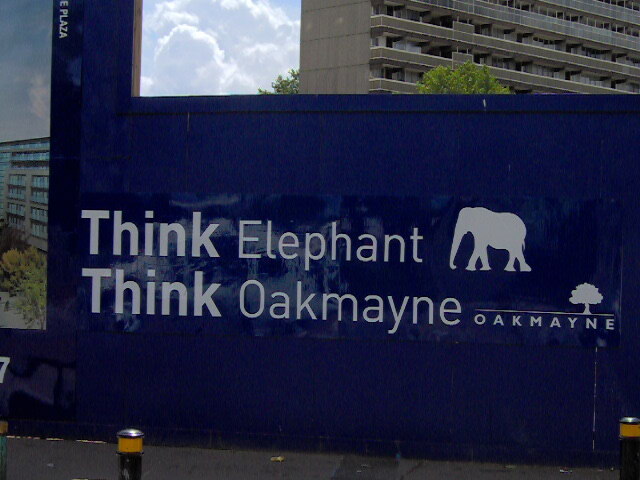 Good news for global investors in The Elephant is that Delancey Asset Management Company has teamed up with Oakmayne to push the Plaza site into a whole new dimension. Delancey, specialist in ‘real estate investment‘ boast that it ‘believes our edge is that we think and act like a principal, and we look to deliver higher returns without sacrificing security. Our approach provides the optimal balance between risk and reward and consistently delivers success‘. Prize for the first person to translate this please. Anyhow Delancey DV4 Fund,’ a real estate investment venture from Delancey Estates Plc investing in real estate in the British Isles and mainland Europe‘ acquired Oakmayne Plaza for £16.6m in Feb 2011. The estimated completed development value of the site is an estimated at £2oo million. Luckily for local residents Delancey’s ‘investment strategies are based on an approach we call knowledgeable opportunism. We look for opportunities that require us to move fast and negotiate hard‘. Our dictionary describes the word ‘opportunism’ as such ‘the conscious policy and practice of taking selfish advantage of circumstances, with little regard for principles.’ Surely this can’t be accurate? Press release here Oakmayne Delancey Plaza. This is what this means for local people: “The site has planning consent for 390,000 sq ft net private residential, student, leisure and ancillary commercial uses and will provide 373 high quality one, two and three-bedroom residential apartments and penthouses, all for private sale along with student accommodation, commercial and leisure facilities. The scheme, with an anticipated completed value in the order of £200 million, will comprise of three towers, rising from 16 to 24 storeys, linked by a triple storey podium. The commercial space in the podium supporting the residential towers will be used for an innovative multi-screen cinema complex, cafes and restaurants, supermarket and dedicated space for local retailers and other leisure uses. 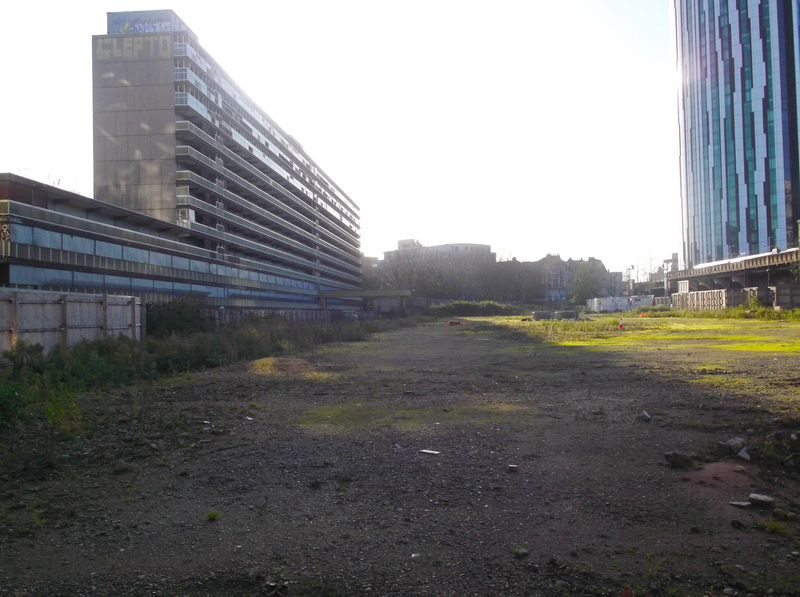 The substantial public open space that fronts the scheme will become the new market square with the potential to emulate that of the highly successful Borough Market”. So how many affordable housing units is that then? 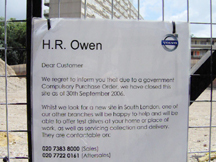 No socially rented flats of the kind that London is so desperate for. Best news of all for locals is that the whole Plaza thing has been dropped and the new development has been branded TRIBECA SQUARE, after one of the most gentrified, expensive and white parts of Manhatten. So, very much like the current Elephant with it’s wide range of destination designer shops, brasseries and cafe terraces and tres chic, tres tres cool places to be seen in like here maybe. See our long post on Tribeca Square here!! Er! 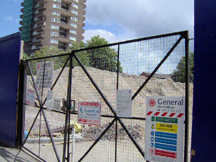 Still nothing happening on the site apart from some farting about activity in the last year no doubt to keep the planning permission active after so much actual non-activity. Reliable In SE1 Forum reports: “Written answer to a public question published in the papers for next week’s Borough, Bankside and Walworth Community Council – Southwark Council wrote: The development of the site at 50 New kent Road [known as Tribecca Square] is now being managed by Delancey a specialist real estate and advisory company in partnership with Oakmayne properties who secured the planning consent for the site. Delancey are currently in the process of seeking to refinance this mixed use redevelopment which includes retail, residential, student and commercial uses including a 4 screen cinema. Yes, our great man Syd Gale breaks it down quite easily in answer to this question and the rather odd story of the Sam Keil artwork / not artwork proposed to and supported by the Council bigwigs but now denied by all. Luckily, we saved the PDF that no longer appears in public on Sam Keil’s website: not here! Full story here at..er..Vice. Glad our researches keep gaining some ground wherever they are published. A truly bizarre story made even more bizarre by Hayden Vernon approaches to Sam and the Council. Nice one. 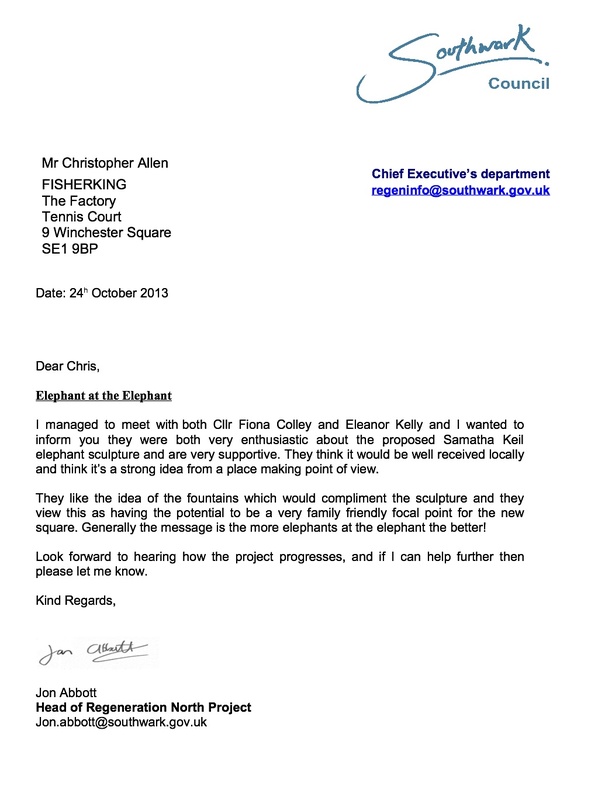 “I managed to meet with both Cllr Fiona Colley and Eleanor Kelly and I wanted to inform you they were both very enthusiastic about the proposed Samatha Keil elephant sculpture and are very supportive. 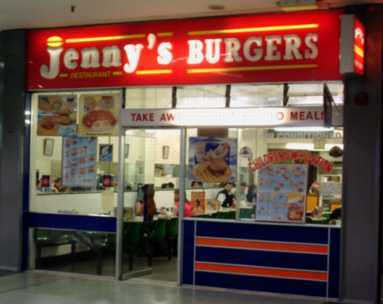 They think it would be well received locally and think it’s a strong idea from a place making point of view”. 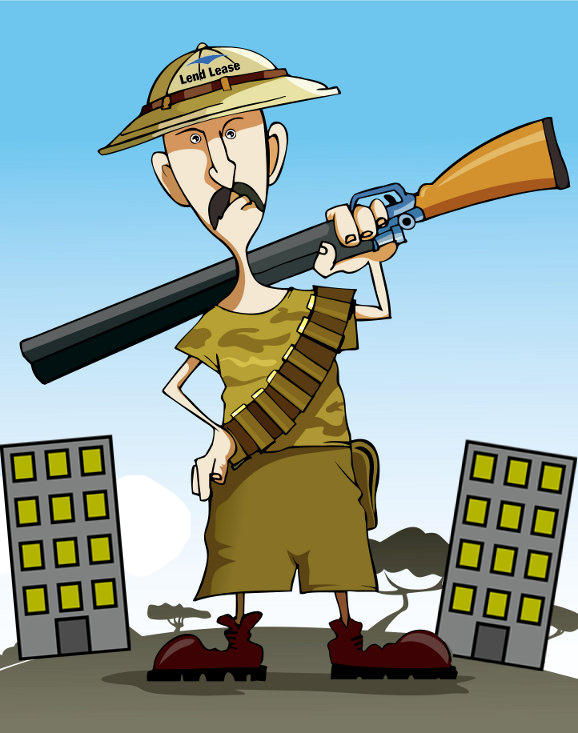 Syd is available for further comments should the Council need him to explain what they are doing. 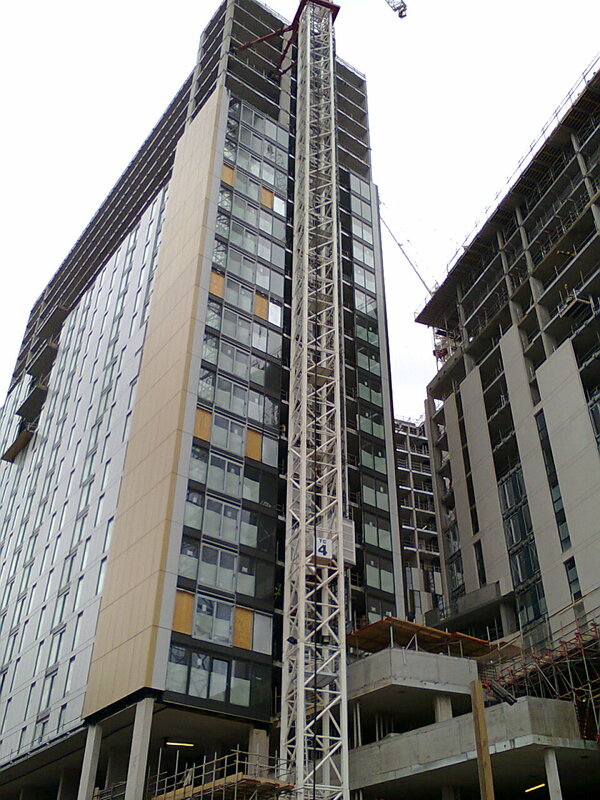 Here is the luxury monstrosity currently going up at Elephant One Site. 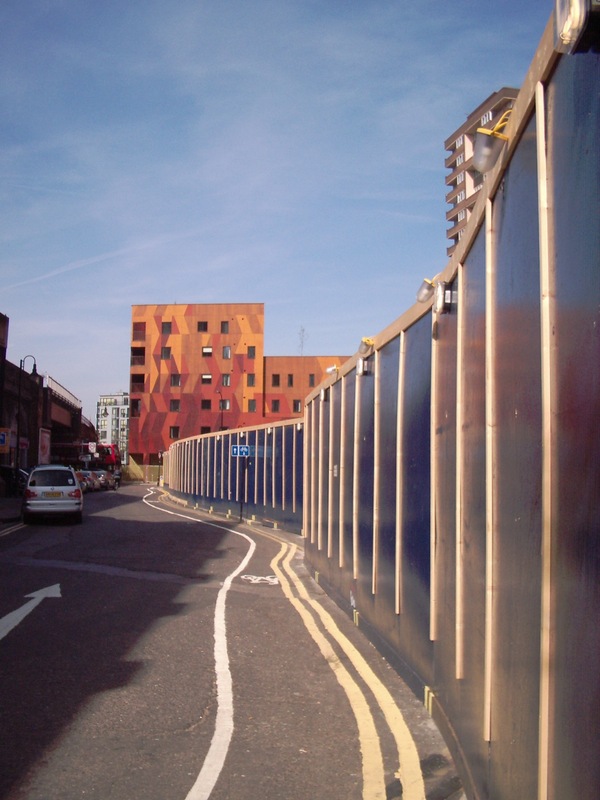 Reminiscent in its bland monolithic cheapness as the same arguments critics made of Heygate big blocks. 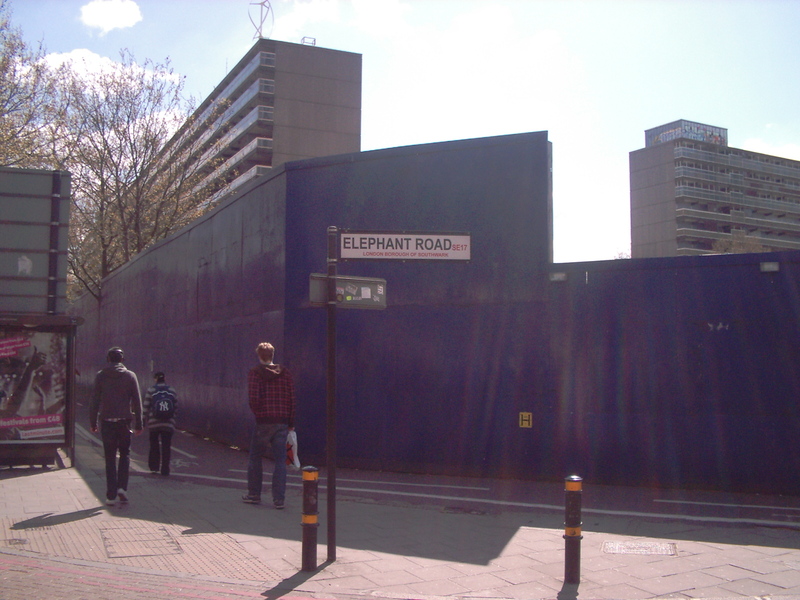 Seeing as some of Elephant One is pre-fabricated it’s running a second close to being the new Heygate Estate. This development site’s rather interesting financial history here. ‘Work began on site this week with a ground-breaking ceremony on Thursday and the project is due for completion in 2016.The scheme includes towers of 24, 18 and 16 storeys and will include 262 homes, a 272-bed student residence, a large Sainsbury’s supermarket and a four-screen cinema‘. Here!